Sorry, but C-Line Assorted Biodegradable Slider Pencil Case - 24/PK is no longer available to buy. 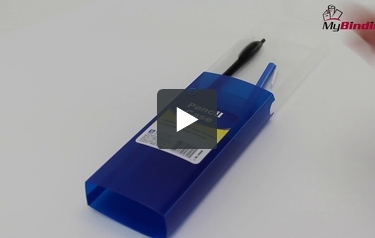 C-Line is proud to present a biodegradable pencil case that is compact and easy to store. The case is made from acid-free, archival quality polypropylene. A great benefit of polypropylene material is that it does not danger the toners, colors, inks or other materials when it's being stored. To help create a better world, it went through an intensive ASTM testing to ensure the case will biodegrade in two to five years when buried in an anaerobic landfill. The case features an easy slide open and snap close design for a much easier access and protection for your pens, pencils and more. With four assorted colors, it's perfect for anyone. Go green today with all the C-Line EcoPure biodegradable product line!